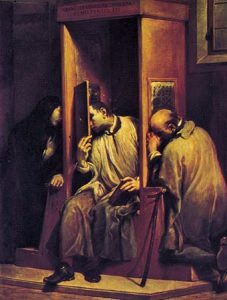 The sacrament of Reconciliation is held every Saturday from 4:45 p.m. until 5:15. Parishioners are encouraged to participate in the sacrament. You can also set up an appointment with the parish priest if you would like a private confession, please contact the parish office at (416) 247-0513.